Adobe After Effects is part of the Adobe Creative Cloud suite of software applications. Although After Effects is frequently used along side Premiere Pro, they each use workstations in slightly different ways. Encoding and rendering are CPU intensive processes so export times are controlled by CPU speeds. After Effects is ‘lightly threaded’ during encoding meaning that encoding can use four (4) to eight (8) cores. The professionally overclocked Intel 6-core, 4.7GHz Ultra i7 from VFX Technologies is the perfect solution for increasing performance and speeding up this process. When comparing Overall Performance as an average between RAM preview and final render, tests have shown that the overclocked Intel i7 PC is 80% faster than a 2018 iMac Pro and 2.5 times faster than a 12-core Mac Pro. Although a hi-performance GPU will not help encoding or outputting files, it can improve the speed of some effects prior to encoding. If your workflow uses Mercury Playback Engine GPU Acceleration, some effects and footage scaling will see significant benefit. Nuke is a node-based digital compositing software application. All VFX Technologies workstation solutions meet or exceed manufacturer supported Operating System and certified hardware configuration requirements. Autodesk Flame is an advanced Visual Effects compositing software application. For over a decade, VFX Technologies has been at the forefront of Flame, Flare and Flame Assist system rentals, sales and support. Our technical team’s experience as Visual Effect supervisors and producers assures customers that we have a real-world understanding of their VFX pipeline and workflow challenges. 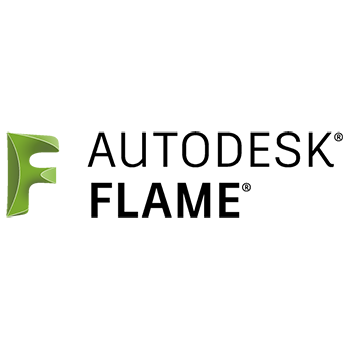 Autodesk Flame runs on Mac and Linux platforms. All VFX Technologies workstation solutions meet or exceed manufacturer supported Operating System and certified hardware configuration requirements.